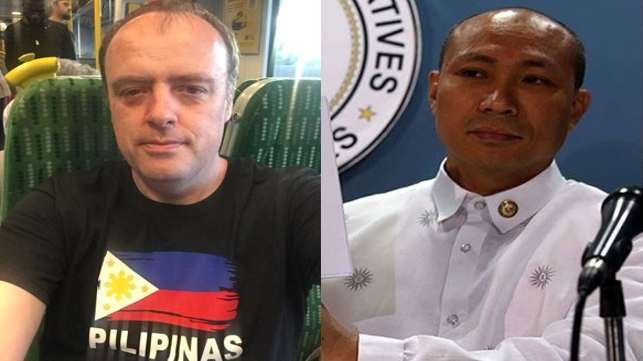 Home / Opinion / Social Media / Malcolm Conlan writes an open letter to Rep. Alejano: "Do not spread lies and fake news here in U.K."
Malcolm Conlan writes an open letter to Rep. Alejano: "Do not spread lies and fake news here in U.K."
British solid supporter of the Duterte administration, Malcolm Conlan can't help not to write an open letter to Magdalo Partylist Representative and now a running Senator for 2019 Congressman Gary Alejano as he visits London for a speaking engagement in a forum about democracy, freedom, justice and human rights in the Philippines. 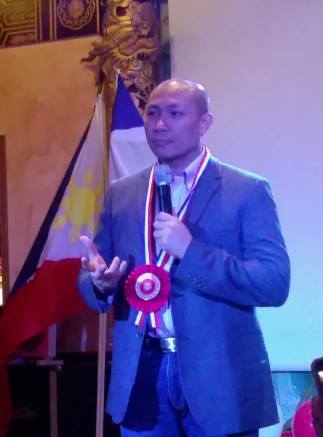 Alejano speaks in front of the Filipino community in London on November 11th, in a conference entitled the “The Challenges of Democracy in the Philippine Context”. Rep. Alejano will be addressing the Cambridge Union at Cambridge University, on Tuesday 13th November 2018. Alejano is a known critic of the Duterte administration. He is very much against the encroachment by China into Philippine territories and deplores the actions of China in militarising the disputed islands in the West Philippine Sea. In June 2016, he filed a complaint of ‘crimes against humanity’ against President Rodrigo Duterte for Extra Judicial Killings (EJKs) resulting from his “war on drugs” policy at the International Criminal Court (ICCt) in the Hague, Netherlands, together with Senator Antonio Trillanes III and Atty Jude Sabio. This is now in the Preliminary Examination stage by the ICCt and we hope that the court will move to the investigation and trial stage imminently. On the day, Alejano arrives in Pinoy Island Gucci Tallava Bar & Restaurant, the venue for the forum, DDS supporters stood up and welcome the Congressman. Conlan together with his fellow Duterte supporters were present to express their freedom of expression against Alejano, to whom according to Conlan, was there to speak against President Duterte who plans to destabilize and oust the President. Conlan, wrote an open letter on his Facebook post because he was worries that a Filipino U.K based Alejano supporter might report him to the police. Where in, according to Conlan, in U.K. they have a laws that do not impeded activities to protest. I hope you don’t mind, but I thought I would write to you personally to welcome you to the United Kingdom and assure you that your visit will of course be peaceful and trouble free. Why am I writing to you like this, I received a warning from a Mr Gene Alcantara, that he would in fact report me to the police for apparently causing trouble by advertising your restaurant speaking engagement later today. Sir, I hope you will appreciate that we have certain rights in the UK, whether we are citizens of this country or not, one of them is the right to freedom of expression and the right to protest. In fact, although I am not the organiser of the protests during your visit, I can assure you that we have studied the various laws and advice to ensure that our protests and rallies do not impeded your activities. Of course, I am sure you appreciate though that there are many Filipinos in the UK and foreigners like myself, who do not welcome your visit. One of the reasons of course was because in 2016, you maliciously reported President Rodrigo Duterte to the ICC, falsely claiming that he was on some kind of killing spree in the Philippines? You are also here to spread fake news, I can say this for a fact, as one of the topics you are apparently speaking about is ‘Rodrigo Duterte’s Drug Killings’ which there are none as President Duterte has not killed even one person. It’s all just fake news by biased international media and trouble makers who wish to make the President look bad. President Duterte was democratically elected by over 16 million Filipinos, because they are sick of the drugs epidemic raging the country. Yes, President Duterte is a tough speaker and a man of action, but he is no killer. He just uses rhetoric to rid the country of the evils of illegal drugs and corruption. Sometimes however, some drug dealers go to far and actually face up the police and PDEA with force and as a result loose their life. This is regrettable but entirely appropriate. Many in the UK are concerned that you and your colleagues are trying to destabilise the government and oust President Duterte. In fact I know you have a history already of trying to overthrow an elected President. Sir, enjoy your stay and I hope you make lots of money from gullible people, but don’t be surprised if there are some Filipinos who raise their dignified objections to your visit.